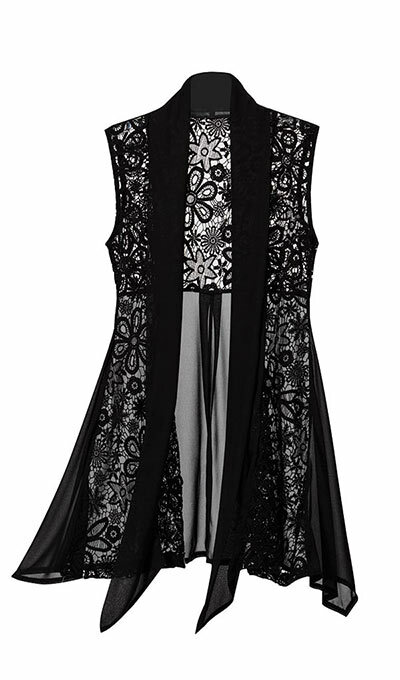 Rich in detail, our lacy black overlay features rich embroidery and sheer chiffon panels. 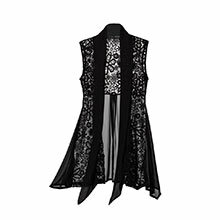 Our Lace & Chiffon Vest is easy-wear styling in soft, flowy polyester. Gentle wash. Imported. Misses, approx. 38"l at longest point. Hurry! Quantities are limited!